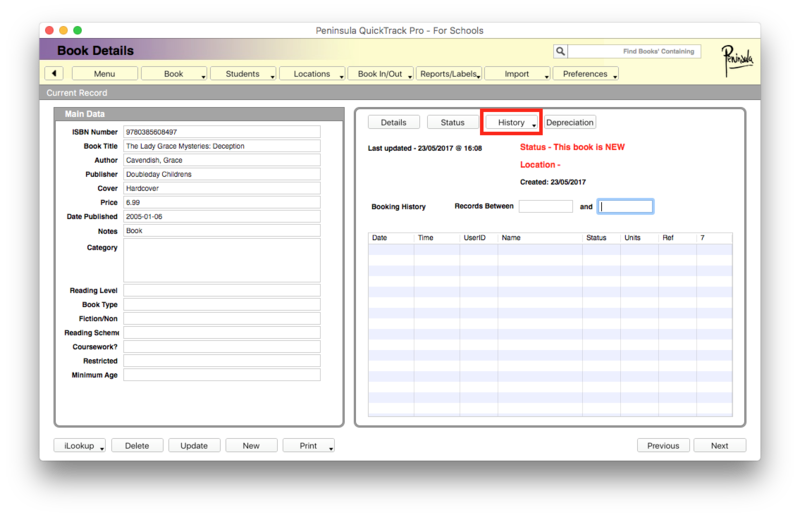 Below you will find a tutorial teaching you how to Reserve books in Quicktrack Pro for schools. You will see a "book in/out" tab this will be the fifth tab on the top row. 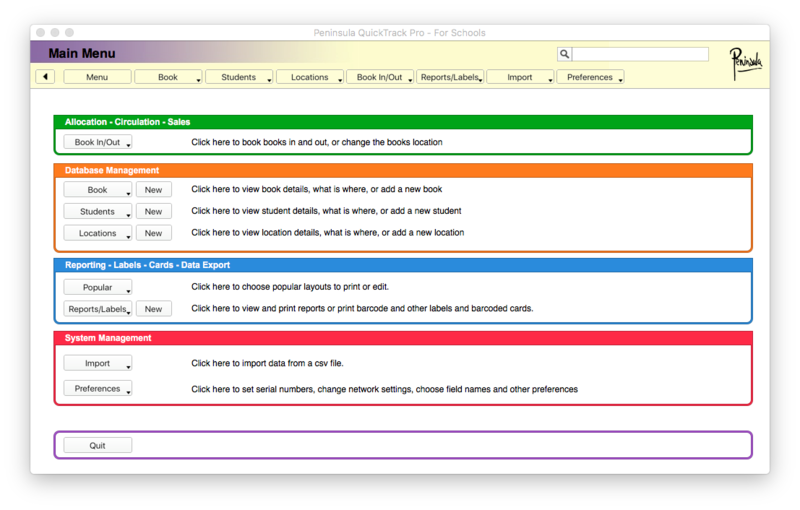 After clicking on the "book in/out" button you will see a drop down menu. Navigate to "Reserve books for students" and click it. 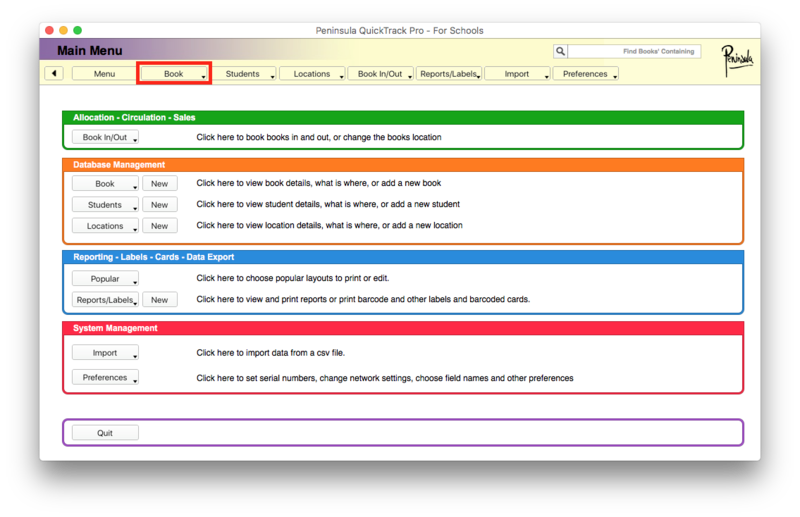 After clicking on "Reserve for students" a new dialog will show. It should look like the image above. 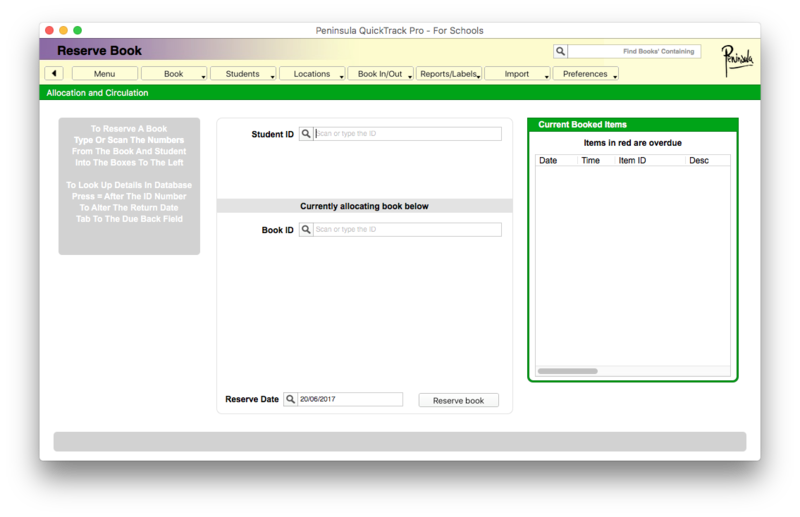 Here you can enter the student ID and book ID. To reserve the book you enter the student ID and book ID and click the "reserve book" button. 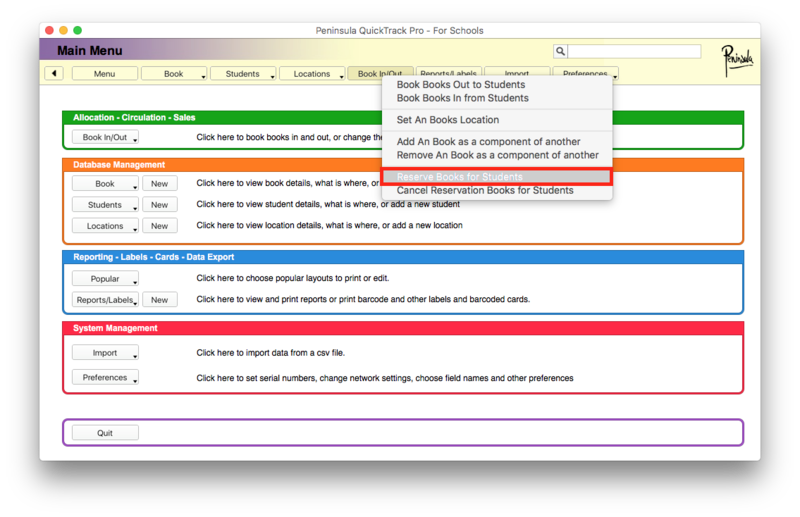 To find the reserved book list, click on the "book" tab. It is the second tab on the top row. 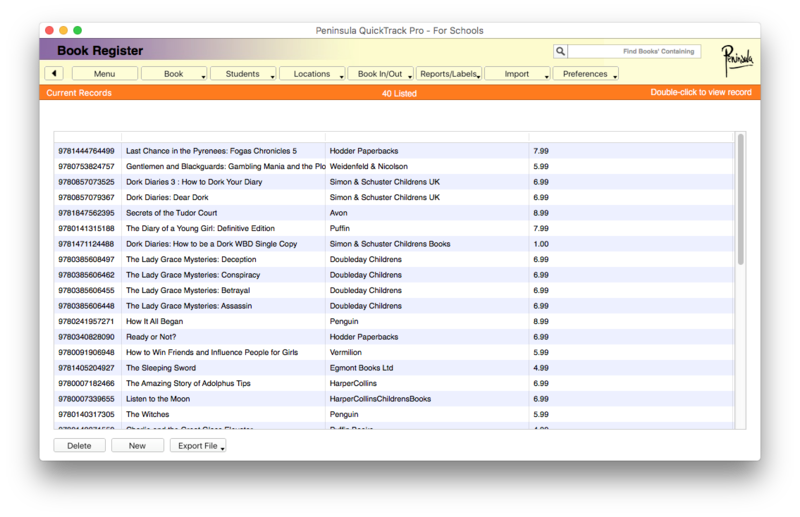 After clicking on the "book" tab, you will see a drop down menu. Click "book list". 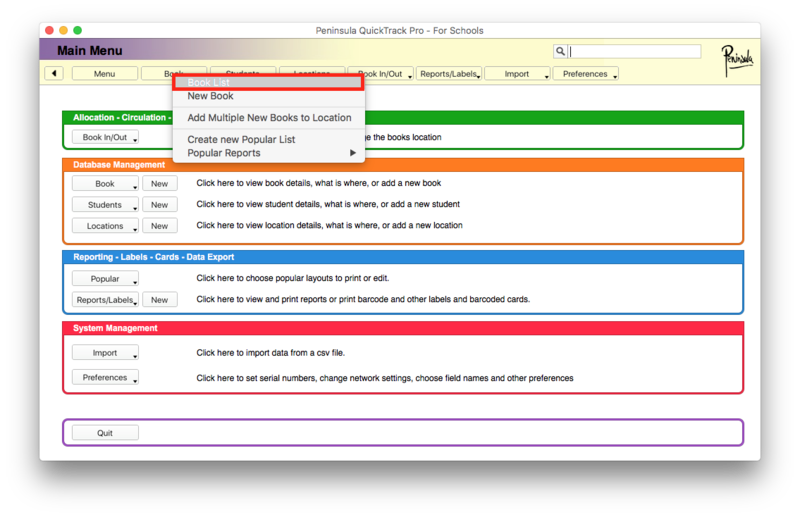 After clicking on the "book list" button you will be taken to your book list. Your dialog should look similar to the image above. Double click on the book you wish to see the reservation list for. 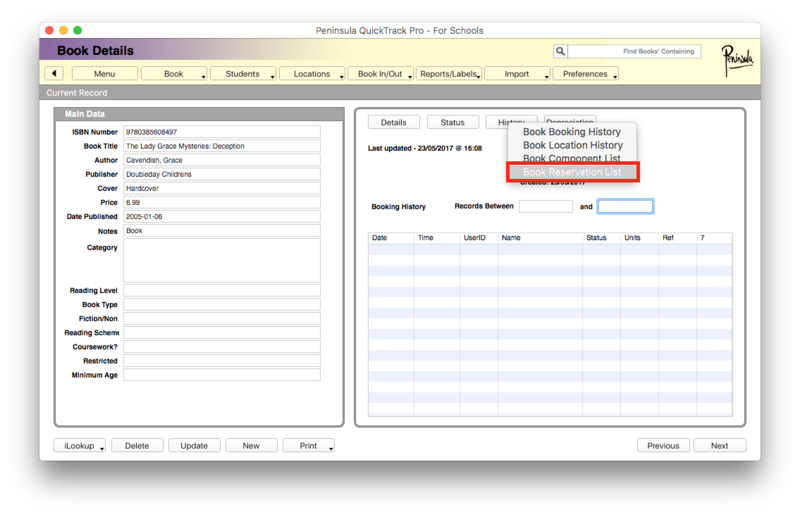 Now you are in the book record that you want, you will see a "history" tab. it will be the third tab on the row within the book record. after clicking on the "history" tab you will see a drop down menu. Click the "Book reservation list" button. The right side box in the book record should change in your dialog. 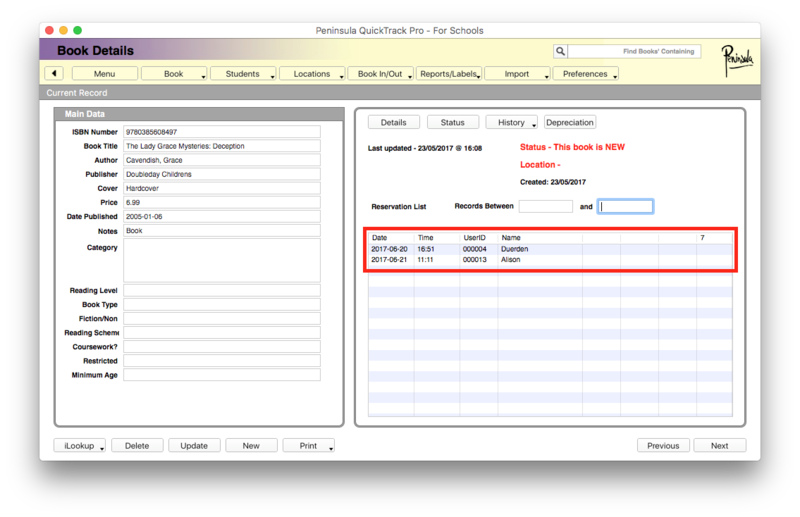 It will show a list of who has the book reserved, or who has previously had the book reserved. This can be useful also to see how popular the book has been.